Long ago, in the town of Totori, a shopkeeper opened a small inn. The inn welcomed its first customer on a cold winter’s night. The proprietor thus led the guest to his room. The exhausted lodger fell quickly into the offered futon, and was soon asleep. However, in the middle of the night he was awakened by someone’s voice. The voice, little more than a whisper, was a child’s voice. The lodger made a purposeful show of loudly clearing his throat. The child’s voice stopped exactly at that time. With a sigh of satisfaction, the lodger once again began to settle into sleep. But just as he was on the verge of sleep, the child’s voice was heard again, this time whispering directly into his ear. It was a sad voice. The lodger sprang from his futon and hurriedly lit the nearby paper lantern. There was no one in the room. He check the adjoining room, and there was no one their either. Leaving the paper lantern lit, the lodger lay down yet again. And again he heard the voice, coming from the base of his pillow. Again it was the sad child’s voice. A chill went down the lodger’s spine. Yet he summoned up his courage and tried to pinpoint the source of his voice. He could hear it coming from his futon. The bed covering was speaking to him. The lodger fled terrified from the room. Waking the proprietor, he told him the whole story of the haunted futon. The proprietor would simply not believe the story. And as for the lodger, he had already paid and there was nothing to be done about it. The proprietor stuck out his belly and would not be budged. However, the following day another lodger stayed in the same room, and had the same story to tell the proprietor about the haunted futon. Shocked as he was, the proprietor still investigated the mysterious voice and found that it was coming from only a single bed-cover futon used as a blanket. The next day the proprietor went to the dealer in used clothing and bedding from whom he had purchased the futon. And so the dealer in used goods told the proprietor of the inn where he had the futon. The proprietor hurriedly went to that shop where he heard the story. Not so long ago, there a poverty-stricken family of four lived in the town of Totori. Their father had died of illness, followed by their mother, leaving only the 6- and 4-year old brothers. The brothers had no family or friends to look after them. They sold all of their household goods for food, including their mother and father’s kimonos and their hibachi stove. But because their house was poor, the items they could sell were soon gone, and they had nothing left but a single futon blanket. The kind little brother tried to give the entire futon blanket to his older brother. But the older brother refused and covered his little brother with the futon instead. The two passed the night this way, attempting to give the entire futon to their freezing bother. And that passed another night this way, and then another. How often could they perform this ritual? In time, the coldhearted landlord of the house came calling, and unable to pay the rent the brothers were thrown from the house. The landlord even tore the futon blanket from them as payment for their debt. That night there was a terrible snow storm. Having not eaten for many days, the brothers succumbed to their hunger and the cold. Under the stoop of a nearby house they were found dead, still clinging to each other. Thinking this, the neighbors buried them in a small grave near the temple of Kannon the deity of mercy. The proprietor of the inn, hearing this story brought the futon blanket to the temple of Kannon where the two brothers were buried. The Buddhist monk of the temple prayed for them and held a memorial service for them. From then, the futon was never heard to speak again. 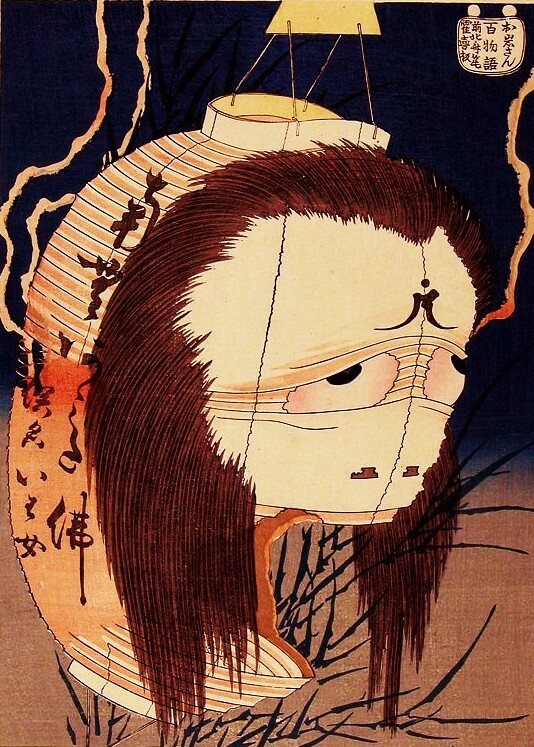 This melancholy tale comes from Tottori , next to Shimane prefecture, and was included in the collection of legends known as “Inbaku Densetsu Shu.” It was made famous by Koizumi Yakumo, also known as Lafcadio Hearn.